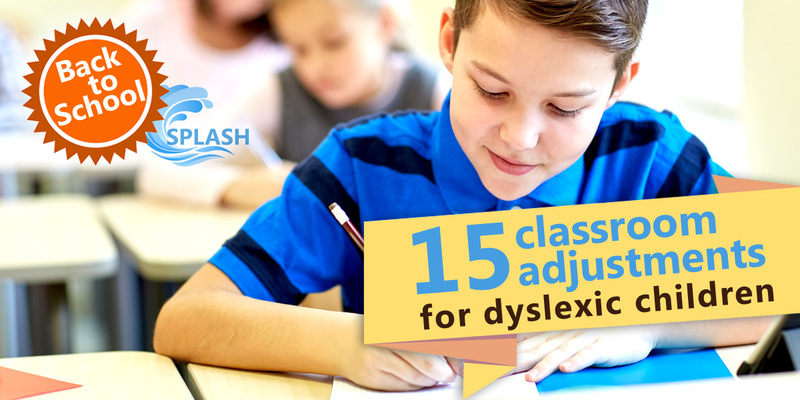 It’s a new school year, which means lots of stressful changes for your dyslexic child. Here’s a classroom checklist to make the transition a little smoother. Make sure your child has everything they need to succeed not just in September, but for the whole year! The humble piece of scrap paper can genuinely transform a dyslexic child’s classroom experience. It allows them to jot down pieces of information, plan their work, note down reminders, and make lists. Even doodling can be beneficial, because it builds up fine motor muscles for handwriting, and keep their brain switched on during boring lessons! Make sure your child’s teacher understands the importance of this underrated dyslexia aid. 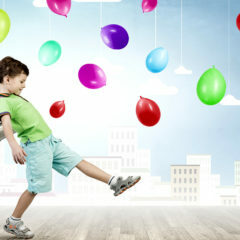 Lots of children need to keep moving while learning, either to stimulate or soothe themselves. This can actually keep their brain in the right state for learning, but often teachers don’t understand and dole out punishments for fidgeting. 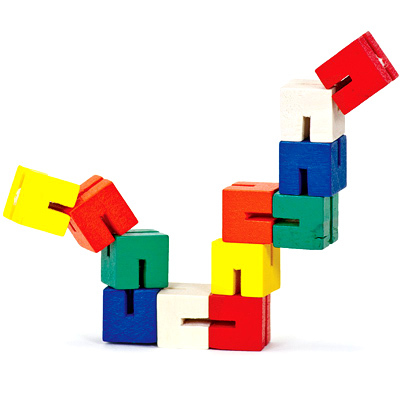 Discuss with the teacher an appropriate fidget/fiddle toy for them to use in the classroom. (Check out my Top 5 fidget/fiddle toys for ideas.) It may also be worth investing in a wobble cushion, an inflatable cushion with dimples that can help children with balance. If your child shakes their hand after writing, one likely reason is an inefficient way of holding the pen. The answer is normally just a great pen grip. My go-to favourite is the Cross-Guard Ultra Pen/Pencil Grip, which places the fingers in the correct position for writing. Other children who see someone with a pen grip in the classroom often get jealous and make the child feel self-conscious about having something different. My solution is to suggest that the teacher invests in a pack of pen grips for the class. Then any child who requests a pen grip can have one. This special type of dictionary, where you look up words using their sounds, is recommended by many educational psychologists. Most teachers will find a copy shoved in the back of a cupboard. Make sure your child gets a chance to use it. However, an ACE Spelling Dictionary can be tricky to get to grips with at first, so your child needs to be taught how to use it and reminded to look words up in it during writing time. 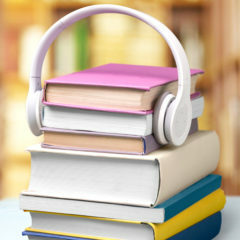 Multi-sensory learning (where you use more than one of the five senses; touch, taste, sound, sight and smell) has been shown to work most effectively for dyslexics. So your child may benefit from using highlighter pens (for highlighting a text) or Post-It notes (for creating and rearranging plans). Your child may wish to use more pictures, diagrams, flow charts, and mind maps than their classmates. Make sure your child’s teacher supports this different way of working. Secure a front-row view for your child. This should ease key dyslexic difficulties, such as memory issues, trouble hearing speech sounds, and problems copying from the board. If possible, your child’s seat should be away from distractions such as windows, heaters, and the door to the corridor. Being seated near good role models (well-behaved children) can also be a benefit. What’s more, a seat at the front gives the opportunity to ask questions if the child’s working memory becomes overloaded. 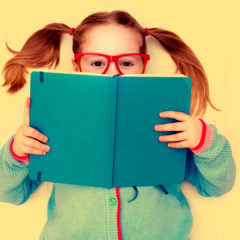 Not all dyslexics experience visual distortion while trying to read, but if your child is struggling to read or copy correctly, then this may be the issue. Luckily, there are loads of ways to help reduce visual strain, from reading rulers and overlays to coloured glasses from a specialist optician. Check out my Top 10 tips for reducing dyslexic visual distortion for more ideas. 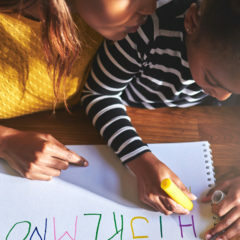 Dyslexics tend to make more mistakes than other children, so they need to be encouraged to check their work carefully after they’ve finished writing. Teachers should be prepared to give extra time to let them do so. Make sure the teacher fully understands your child’s difficulties and how they can modify their speech to make things easier. Complex instructions should be simplified and multiple commands should be avoided wherever possible. Dyslexic children benefit from more repetition and reminders of instructions than other pupils. Chunking information into small, well-defined steps can also be a big help. Copying large amounts of text is often a real weaknesses for dyslexics and it is rarely an effective way for them to learn. 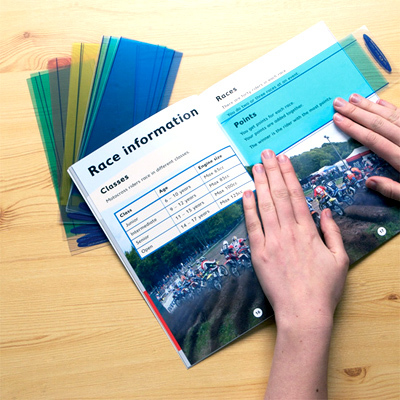 Your child will make much faster progress if they are provided with handouts of lesson materials, in a well-spaced, 14-pt-or-larger font, ideally in advance of the lesson. A dyslexic child who hands in late homework (or none at all) is frustrating for parent and teacher alike. This frustration can be lessened by using a home-school liaison book, setting up an email system for homework notifications, or using an online notification app. Whichever method you as the parent agree with the teacher, it should clearly set out homework requirements and hand-in dates. Homework can take much longer (up to three times’ longer) for students with dyslexia. A time limit, established with the teacher in advance, can really help. 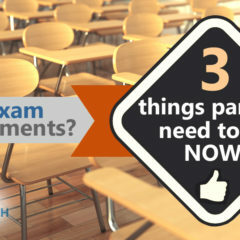 After your child has worked for up to the time limit, the pressure’s off. The parent can write ‘X worked hard for the agreed time’ on the unfinished piece of homework, without fear of the child getting in trouble. 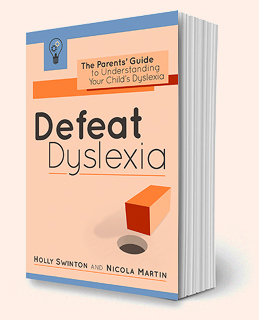 A dyslexic child who is struggling should be focusing on your core skills (reading, spelling and number work). When it comes to marking, this means that they may need more leeway than their non-dyslexic peers. 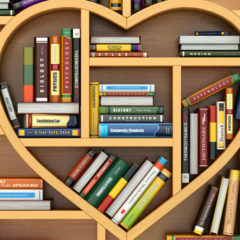 Being asked to struggle through a page of out-loud reading can be torture for a dyslexic child. Worse still, some teachers ask children to read out their test scores. It’s worth a gentle reminder to your child’s teacher that while this saves valuable minutes in class, it can destroy a child’s self-confidence. Dyslexic children and teenagers who are having to work much harder than other children (often to achieve lesser results) need the chance to talk about their difficulties. Encourage the teacher to create a classroom where your child feels comfortable asking for help. 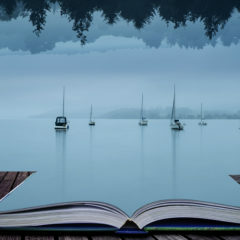 What’s more, other members of the class may benefit from positive teaching about the nature of dyslexia and other learning difficulties, through talk of real-life and celebrity role models who struggled at school. Young people can gain a lot from teachers or other adults being open and understanding about their natural weaknesses, dyslexic strengths, and clever coping strategies.